Thomas Hofstetter, the Managing Partner of Points Group joins Health Professional Radio to talk about their company’s groundbreaking Triage Trak, a triaging and scheduling software that helps patients to find the perfect doctor and location in order to provide the best patient experience. Neal Howard: Welcome to the program. 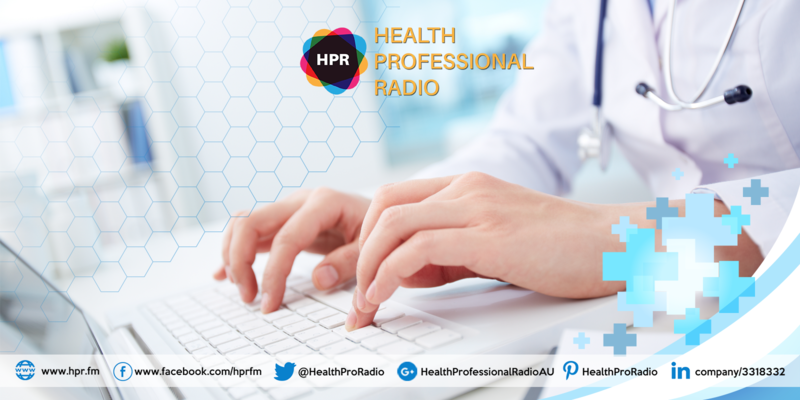 I’m your host, Neal Howard here on this health supplier segment on Health Professional Radio. Thank you so much for joining us. Our guest is Mr. Thomas Hofstetter. He’s a Managing Partner at Points Group and he’s joining us on the program to talk about Triage Trak. It’s a software that helps patients match perfectly with the right doctor. Welcome to the program, Thomas Hofstetter. How are you? Thomas Hofstetter: Thank you. I’m well. Thanks for having me. N: Thanks for taking the time. Let’s talk a little bit about your background. Who is Thomas Hofstetter? T: I’m the Managing Partner at Points Group which is a consulting and marketing agency that is solely focused on healthcare. We are in business for about 16 years now and we’re located in the Metro New York area. We’re very excited about the fact that we reached the focus on healthcare because there’s so much exciting transformation in that industry and so much to do and that’s basically what we’re dedicated to doing. N: As the way that physicians are rated that directly affects their compensation that’s evolving even as we speak. The big buzzword, I guess for lack of a better term, is the patient experience outcomes. Let’s talk about the patient experience as being the most important thing for healthcare today. What do you think? T: Yes. I couldn’t agree more. Patient experience, the word is around for quite a while but I would say over the last few years if everybody is recognizing how important it is and I think for the years to come, it will become the number one topic in healthcare and the reason is, it is important, actually for many reasons, for every healthcare provider or healthcare business. First, it’s actually good for business, companies or practices and hospitals that do provide a good patient experience and they overall show better economics. For that multiple reasons, first, patients today, they expect a better patient experience and maybe before we move on to why companies should use it, let’s first define what patient experience is. Patient experience is what a patient experiences across all patient touch points and a patient touch point actually starts shortly after an illness or shortly after an injury. When a patient then is looking for a doctor or a healthcare provider, right there and then if a patient cannot easily find the right doctor, the patient experience suffers and then from there if patient finds say on Google or online the right doctor with the right practice then the next step in the patient experience is the website. If a website is not well done and frustrating to navigate, the patient experience goes down. From there, the patient experience is then influenced by the scheduling of your appointments which has actually one of the biggest impacts on patient experience and then only then, the next step will bring you into the doctor’s office where the patient experiences further influenced by the staff, “Do you find parking?”, and all of those things. And then after all of those steps that influence the patient experience already then, you finally get in front of a doctor which obviously also very much defines your patient experience and then not to forget what’s happening after the treatment, post-treatment, the communication, billing and all of those things. So having said all of that, it gives you an idea of how complex a patient experience is. A lot of people just think it’s what the doctor does and that is really not the case. N: Now, the patient experience seems to be the only place where the physician can, I guess differentiate him or herself from all of the other physicians in the area. That’s the only place where you can say, “Hey. I’m a better fit for you than doctor A, B or C.” How much pressure is there? I mean obviously a great deal of pressure on the physician to streamline his practice in order to deliver that maximum patient experience. N: So it seems that the patient is the primary principle when it comes to the patient experience whether it’s a good experience or a bad experience and how they communicate that to others. It seems you first have to check out a website, you have to ask questions, you have to get referred. It’s a lot of time. It’s very time consuming for the patient to try and tailor their experience based on all these other factors that they have no control over. How is your company helping to streamline that patient experience and get the best patient experience faster? T: All good questions. With the way we have our clients implementing a good patient experience is first by we’re understanding what their goals are and objectives and then do an assessment. Lessons are done in many different ways. You might do secret shopper. We review the online reviews. We do a complete assessment of the entire patient journey and then once we have a full picture and an understanding of what the issues are and what this reason is and what their goals are, from there we put together a strategy and that is we accustom to every provider, every company because the situation is different. And then from there, it’s really about identifying key performance indicators that allow you to measure how good your patient experience is. Without measuring a patient experience it is very difficult to read, have a sustainable patient experience long term because it’s ultimately the measures that tell you what’s wrong and where you have to continue to improve. So from there, once you have the strategy and the key performance indicators, you then go into the implementation which really depends on your situation and I know once it’s implemented we then, what I just said, you measure your key performance indicators and refine. Some of the key issues I see with a lot of clients is everybody says and recognizes, “Yes. We want to have the best patient experience.” However, when it comes to recommitting, truly committing to implementing a patient experience, a lot of companies reelect the true commitment. One way of how we measure the true commitment is actually, to companies we provide funds to implement a patient experience and I see a lot of lacking on that side. Now, once companies are starting to realize is that the investment and patient experience, it’s a true investment and revenue. A lot of companies still don’t understand that they say, “Oh my, God. We have to invest so much into our infrastructure or in our processes and our operations.” And they do not weigh those investments with the impact it has on the revenue. N: Now, your company has created a software that helps to match patients perfectly with the doctor that’s going to give them their best patient experience. Let’s talk about this software a bit. T: Yes. We there are a couple of issues that we have seen occurring or re-occurring with our clients or that we see just across that the healthcare industry especially for bigger practices with, let’s say 20 doctors at least or hundreds of doctors with many locations. Problem number one is a lack of accurate information across the factors related to the doctors. Meaning, if I call five different locations of a hospital system and I’m looking for a specific doctor, I might get five different answers because there’s very often not a reliable source of information that is accurate. With accurate information about the doctor itself, then making those information available across all channels and with channels, I mean 1- the call center, 2 – the front desk and 3 – the websites. All of those touch points where the information is required is very often out of sync and not based on the same information. And then what the other problem that we see happening often is that because of that, patients are being scheduled for doctors or with doctors that are the wrong doctors for their medical issues. So very often the patient gets scheduled, the patient goes to the doctor, the doctor actually determines he’s the wrong doctor to go to. The patient should go somewhere else. So all of that creates frustration, also cost for the healthcare system and actually for the patient as well. So what we did, we developed a software that solves all of those problems. It helps better serve the patient on the website. Meaning, we have a decor of our software, the doctor profile is managed by the doctors itself. So the doctor, they manage their profile in a software where they can put in the procedures they do, the conditions they treat, the preferences they have, the types of patients they see, the days of operations, hours of operations, all of those things. It sounds simple but it is a major challenge for most of the big systems to match that and that information is then being provided and integrated with the website itself so that patients can do self-serve triaging or self-serve search of the right doctors and locations. And then we have two other modules that are supporting the call center so that the call center has easy access to all of those information and the front desk as well. With that, you have a consistent process and consistent information distribution across all of those channels and solve all the problems I just mentioned. N: So the software is called Triage Trak. Where can we go online and get more information and possibly get other physicians turned on to this new product. T: The easiest way to get an overview of the software is to go to pointsgroup.com and well just call us in at our office. Our information is all under on the website but it’s also maybe to mention it’s very easy to integrate with almost any website and the financial impact on an organization is huge. We’ve seen an enormous return on investment with the clients that have used our software. N: Well, Thomas, thank you so much for joining us today. Managing partner at Point Groups talking about Triage Trak and the optimal patient experience. Thank you so much. It’s been a pleasure, Thomas. T: Thanks a lot, Neal. Thanks for having me. N: You’ve been listening to Health Professional Radio. I’m your host, Neal Howard on this health supplier segment in conversation with Mr. Thomas Hofstetter. Transcripts and audio of this program are available at healthprofessionalradio.com.au and also at hpr.fm.